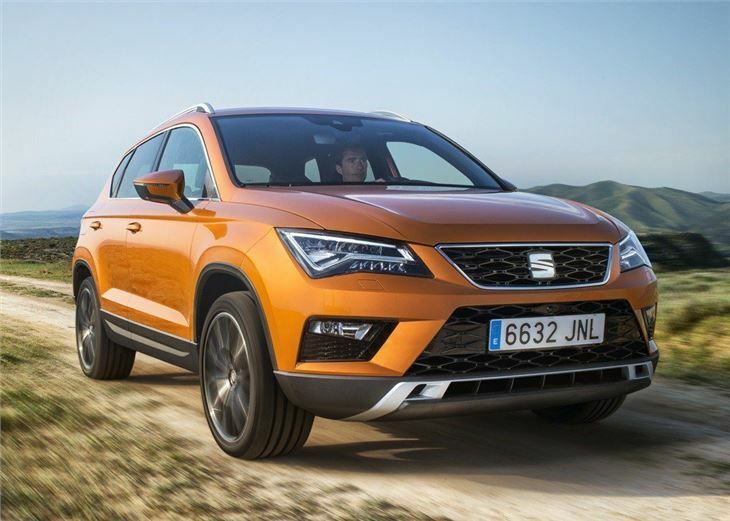 After years of concepts and prototypes, the SEAT Ateca is finally here. 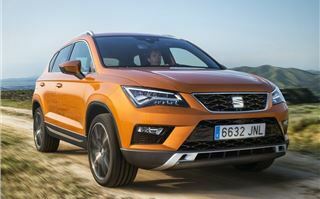 And it’s being billed as the Spanish carmaker's first ever SUV. Only, it isn’t. You see, the Ateca is actually SEAT's second SUV. The first? That’ll be the Audi Q3, which it has been building by the thousands since 2011. From a distance, you’d be forgiven for thinking the SEAT Ateca (pronounced A-tek-a) IS an Audi SUV. 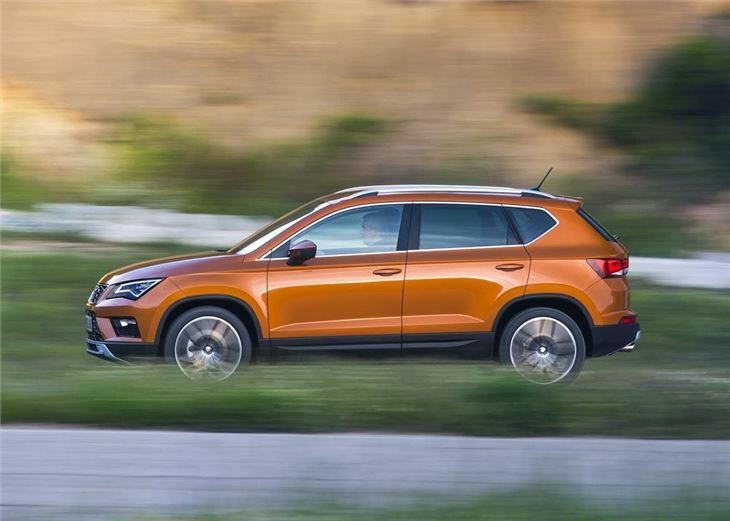 The design is extremely similar in style and shape to the Q-badged Audi models, with the Ateca's SUV bulk well-concealed by sleek and sharp lines. That said, the Ateca is not a de-badged Audi - it is actually based on the latest Volkswagen Tiguan. 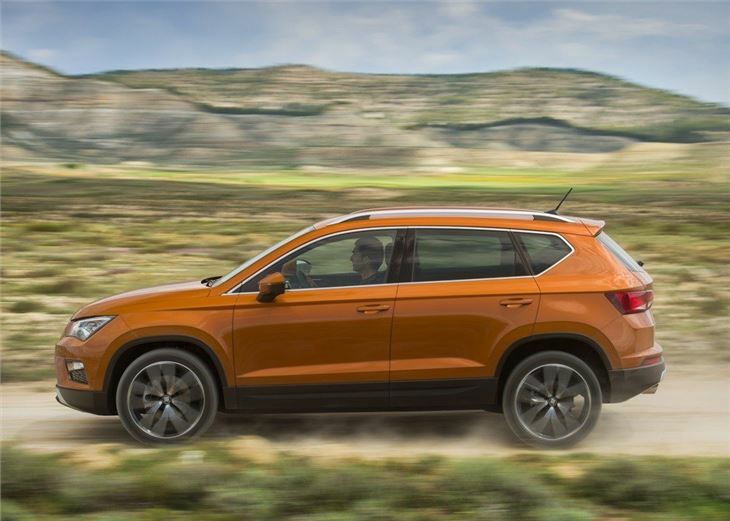 Despite the Audi styling and Volkswagen running gear, the Ateca is distinctly SEAT and affordable. Entry-level models start from £17,995, for the 1.0 TSI petrol, while the 2.0 TDI in mid-SE trim can be yours from £22,930. That's £4400 cheaper than an equivalent Tiguan. Equipment levels are pretty good too. All models get alloy wheels and LED daytime running lights, while the mid-range SE trim has (almost) everything you'll ever need, with dual-zone climate control, an eight-inch colour touchscreen, heated door mirrors, cruise control and 17-inch alloy wheels all included in the price. 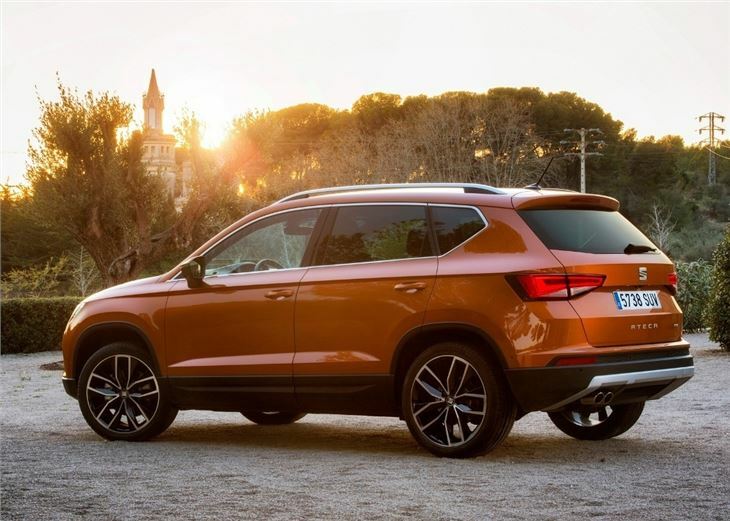 Given its Volkswagen platform and engines, it perhaps comes as no surprise that the Ateca feels very similar to the Tiguan, with impressive levels of refinement and build. There's the choice of two-wheel or four-wheel drive. 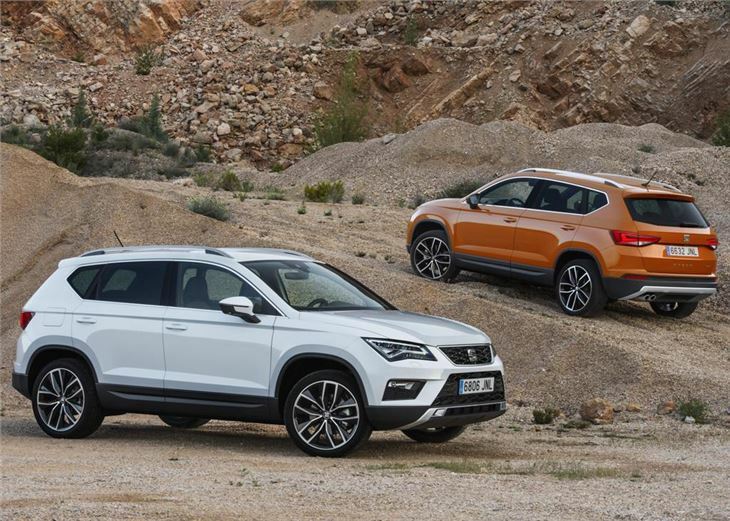 Our test car was the 4Drive model and featured the latest Haldex all-wheel drive system with selectable driving modes that will allow the Ateca to plough its way through everything, from snow to sand. 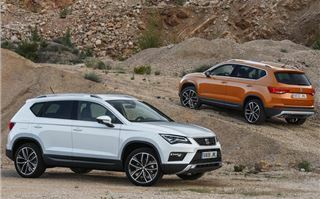 Few Ateca's will ever venture further than the supermarket car park, but 4Drive versions are capable off road and will make sense to those who need all-road towing ability or live in rural areas. 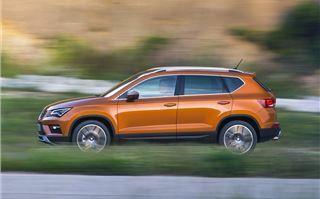 On the road the Ateca is smooth and comfortable, with a cushioned suspension set-up that provides plenty of protection from potholed roads and uneven surfaces. The steering does lack feel in the corners, but there's no shortage of grip. 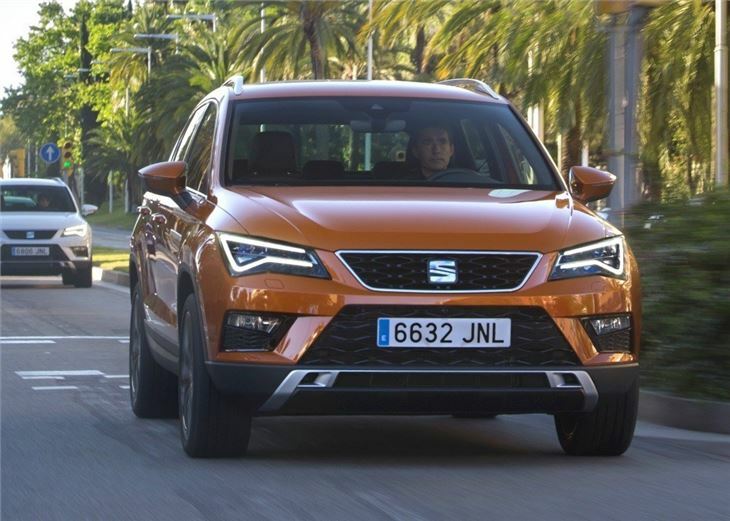 As a result the Ateca can be pushed through a series of bends. The engine line-up has three diesels offered alongside two petrols. 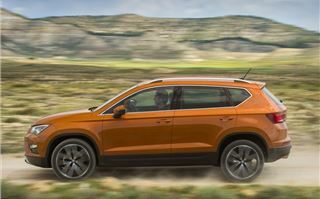 Outputs range from 115PS to 190PS, but it is the Volkswagen-sourced 2.0 TDI that offers the best all-round performance. It will tow up to 2100kg (1900kg for two-wheel drive) and officially return 57.6mpg and 128g/km of CO2, while two-wheel drive versions will provide 64.2mpg and 114g/km. 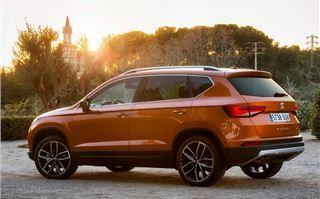 The four-cylinder engine is almost identical to the one found in the Tiguan, providing brisk performance, with 0-62mph taking 8.5 seconds (7.5 for two-wheel drive models). There is lots of torque, too - 340Nm from 3500rpm - which provides plenty of low-gear acceleration for tackling hills or overtaking slow traffic. A six-speed manual gearbox is fitted as standard, while a seven-speed DSG is available as a paid-for option. Inside, the dashboard has a clean and simple layout that mirrors that of the Leon. All of the controls are clearly laid out and the touchscreen infotainment system, which dominates the layout, is relatively easy to use. Like the Leon, some of the plastics in the centre console and lower door bins feel cheap, but for the most part the cabin feels upmarket. The Ateca feels larger than many SUVs in its class, with a huge cabin. There is acres of head and legroom in the front and back. This means it will easily carry four large adults and tall drivers will seldom be asked to move their seats forward. Boot space is also generous, with 510 or 485 litres, depending on two-wheel or four-wheel drive. 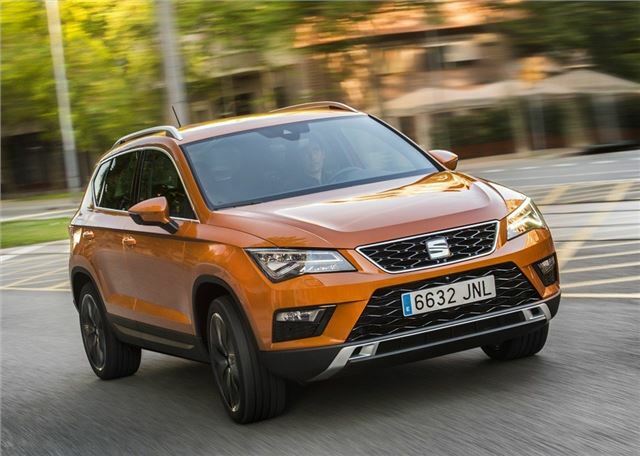 As you've probably gathered, we think the SEAT Ateca is a very good SUV. It's affordable, incredibly refined, spacious and well-equipped as standard. It also has significantly more boot space than the Nissan Qashqai (430 litres) and Ford Kuga (406 litres) which makes it hugely practical on a day-to-day basis. 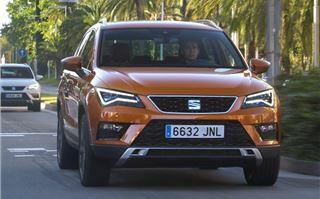 The only criticism we can level at the SEAT Ateca is that we haven't driven the front-wheel drive version. Our test car was 4Drive, featuring multi-link rear suspension. It remains to be seen if the front-wheel drive - with a more basic suspension set-up - rides as well. However, this aside, the Ateca is extremely strong value and should be on the shortlist for anyone wanting a new SUV in 2016.